Drum Cafe in collaboration with the Knysna tourism board, Business and Arts South Africa, First National Banks and Naturally Knysna hosted the Recycled Band competition for the community of Knysna during 2011.
t performed on the day and a crowd of approx. 250 which reflected a “true coming together” of the various communities of the Greater Knysna Area, and which created a connected, warm and heart-filled event with the true feeling of COMMUNITY and TOGETHERNESS being felt and experienced by all. This innovative project was created by the Nidhi Chaitow and the owner of Drum Cafe and was aimed at providing education on environmental issues, developing creativity and innovation through music and at the same time promote entrepreneurship and business. The winner was chosen from a wide range of categories and prizes were given to best original composition, community spirit, best concept and best instrument. The total prize money was a whopping R15 500, R14 000 sponsored by Drum Cafe as well as R1500 donated by a member of the audience. Some very innovative instruments came from these bright minds including, shakers made from bottle caps, bottle blowers, a percussion set made from tin cans and discarded boxes and a drum tone that intergrated the concept of a guitar and drum. The winners, Upcycle and the Masi Minstrels, let by the designs of Christo Pieterse, build amazing guitars out of recycled wood, tin cans and hardhats and gave a performance that totally stunned their audience. 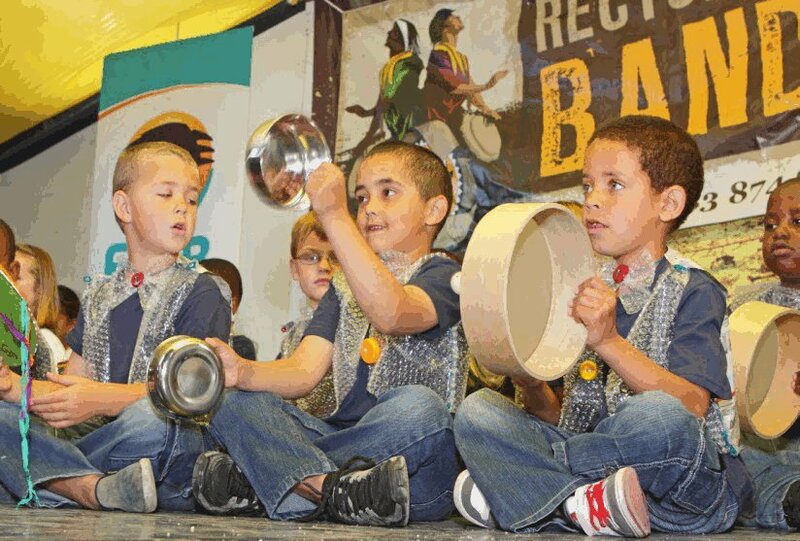 They were the very proud recipients of R10 000 prize money and reflected the true spirit of the recycled band competition.